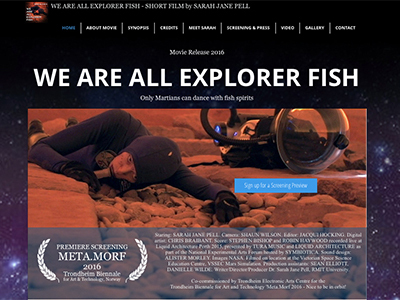 Independent artist commercial diver, explorer and researcher of new worlds. Award-winning artist Dr. Sarah Jane Pell is leading first generation artist-astronaut crews of the commercial spaceflight era. 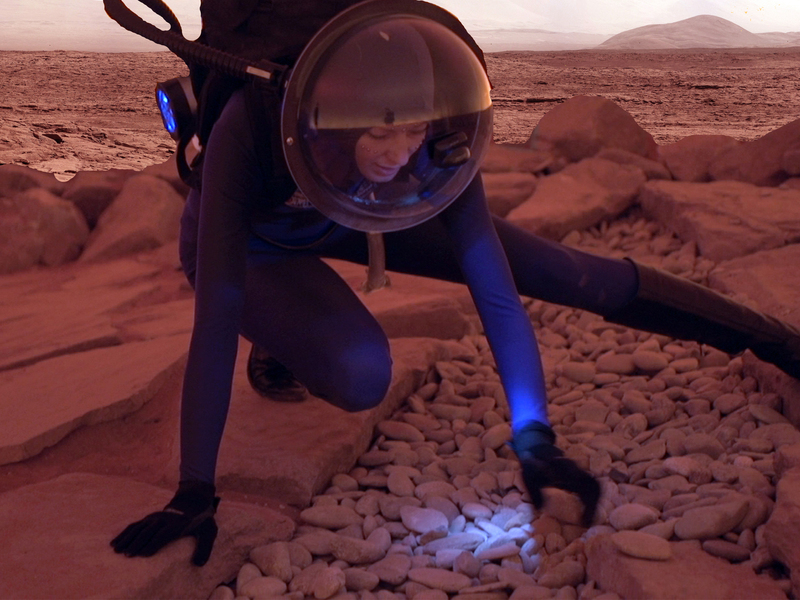 Her pioneering practice seeks to embody, and critique, the culture of exploration from sea, to summit, to space. She performs expressively and builds novel prototype apparatus to test and communicate from the field. Artifacts include sculptural, technical, poetic and media events. 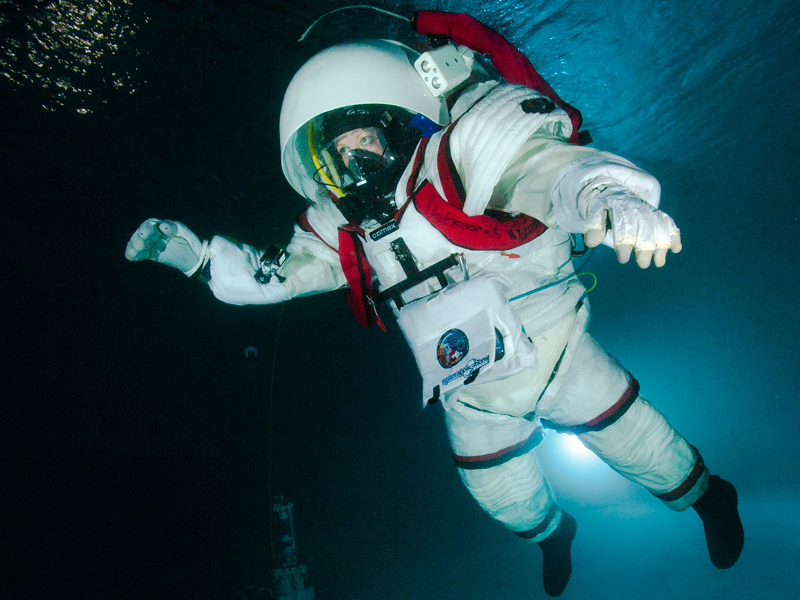 Dr. Pell is an Astronaut Candidate for a suborbital aeronomy mission, an experienced Simulation Astronaut for undersea trials, and imagineer for a MoonVillage. Her work promotes physical conditioning, creative visualisation and communication. Dr. Pell is an experienced Occupational Diver, aquatic performer and versitile art and science collaborator. Her work is widely exhibited, performed, published and recognised. 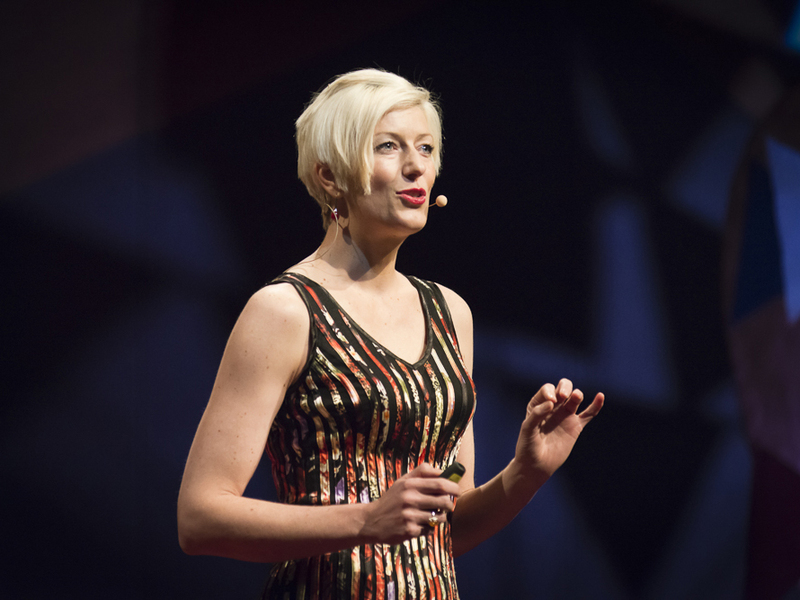 She was awarded Best PhD Art & Science by Leonardo AS, MIT 2007 and TED Fellow 2010. 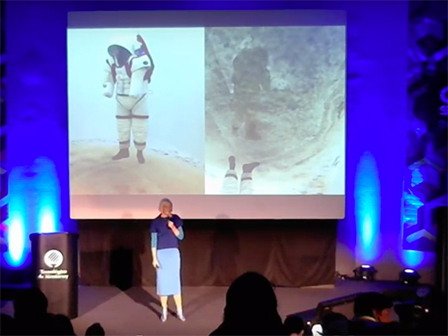 The first artist to graduate from the International Space University and Singularity University, she has served as Co-Chair of the European Space Agency (ESA) Topical Team Arts & Science, Senior Space Art Consultant to Icarus Interstellar, and Senior Advisor Diving to the Maritime Union of Australia. 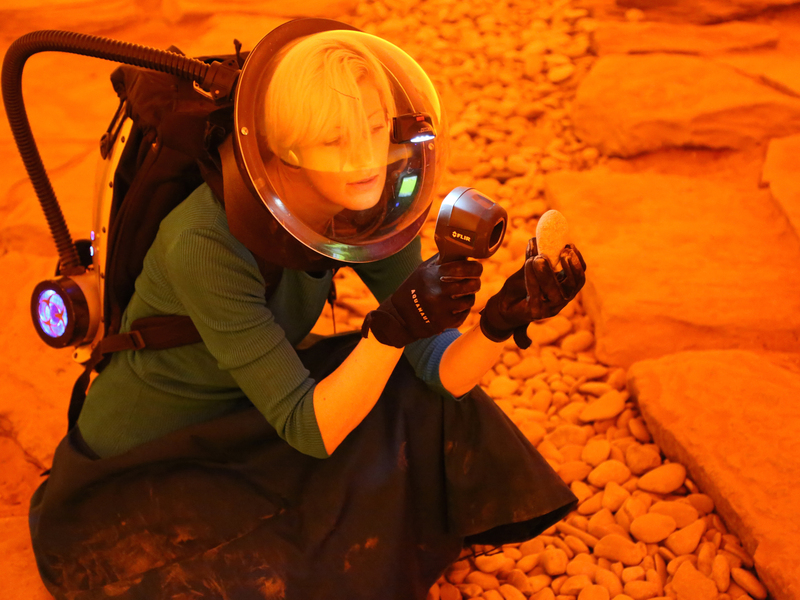 Bending Horizons 2015-2017 documents her own expression during extreme art adventures in space analogue environments undersea, at altitude and in microgravity. 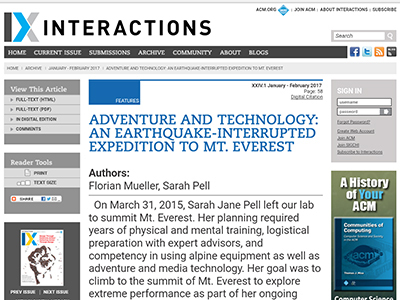 Dr. Pell aims to contribute new knowledge on human behaviours, biosensory media and communication design for extreme performance. She is a Australia Council Fellow in Experimental and Emerging Arts. 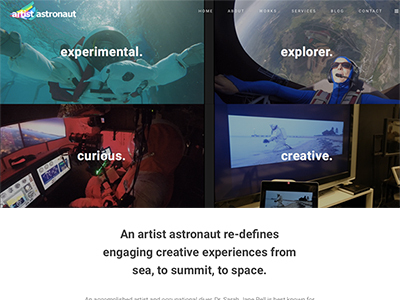 Artist exploring from sea, to summit, to space. following the body's natural edge into the abyss of space. 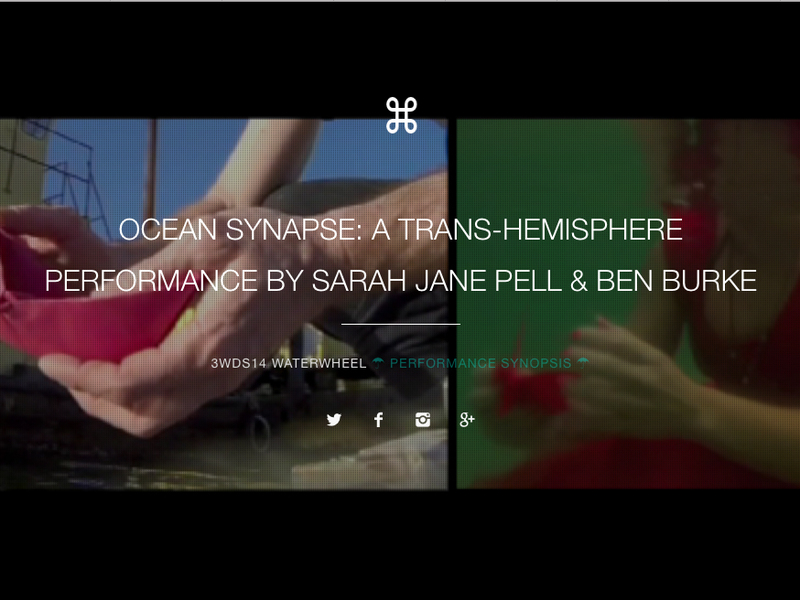 Experimental performance exploration to amplify the bodily phases of astronaut training and undersea missions as basis for new artforms and creative expression. Artistic exhibitions, transmissions, video showcases, and new media installations. Contemporary performance art, theatrical production, and filmic live art event. Occupational diver training and professional experience across diving industries. Expedition, exploration, voyage or mission. Adding a touch of art to adventure. Public speaker, academic lecturer, guest artist panelist and keynote presenter. Academic scholarship, research and education from visual arts to astronautics. Artist residencies and workshops including fellowship projects and collaborations. Studio lab experiments and research. Speculative proposals and novel prototypes. Research publications and presentations including reports, white papers, and theses. Inspirational Keynote Speaker Book now for 2019! An artist literally on a mission! Dr. Pell is an Artist-Astronaut Candidate for a NASA suborbital experiment by Project PoSSUM (an acroynm for Polar Suborbital Science Upper Mesosphere). 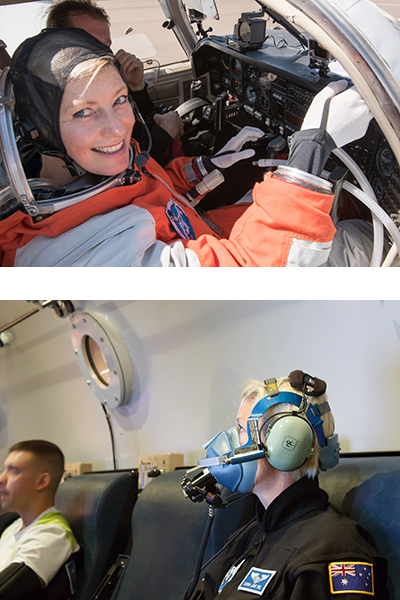 In 2016, she also logged validation flights in Final Frontier Designs IVA spacesuits. 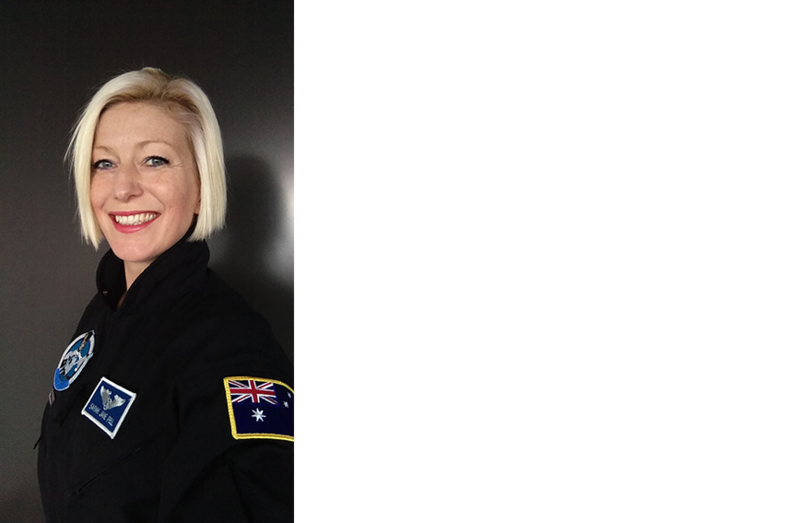 Pell joins the PHEnOM Project (Physiological, Health, and Environmental Observations in Microgravity) commercial human spaceflight research program for other mission specialist training in 2017. 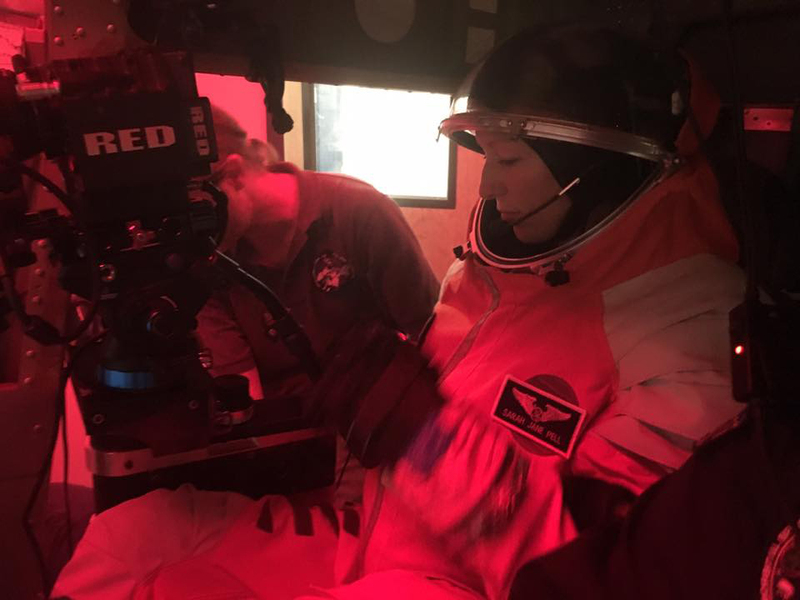 She supports the SeaSpace Research and Exploration Society as Prime Crew for the Project POSEIDON: 100 Day Undersea mission. 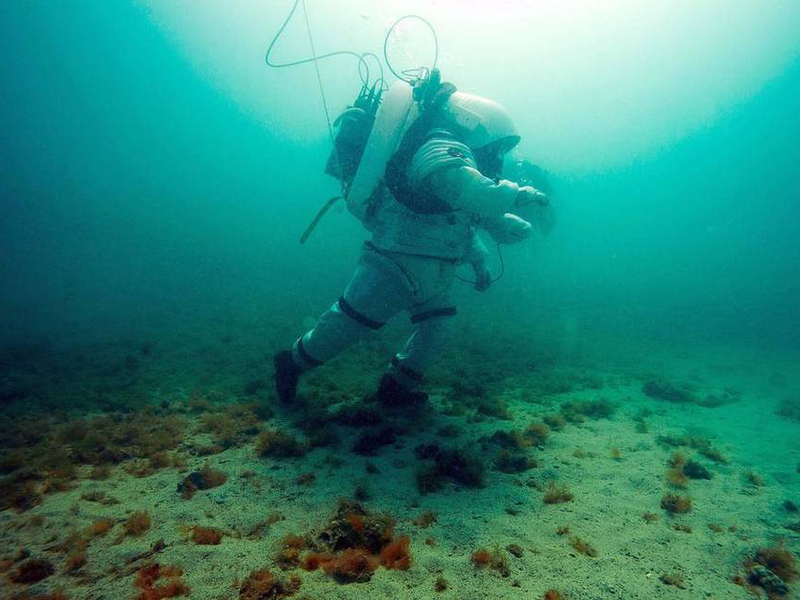 A commercial diver and underwater performance expert, Dr. Pell partnered Project MOONWALK as the Simulation Astronaut for the Human-Robotic Collaboration EVA Simulation Mission trials at the Comex Undersea Lunar Analogue site, Marseille FR in 2016. 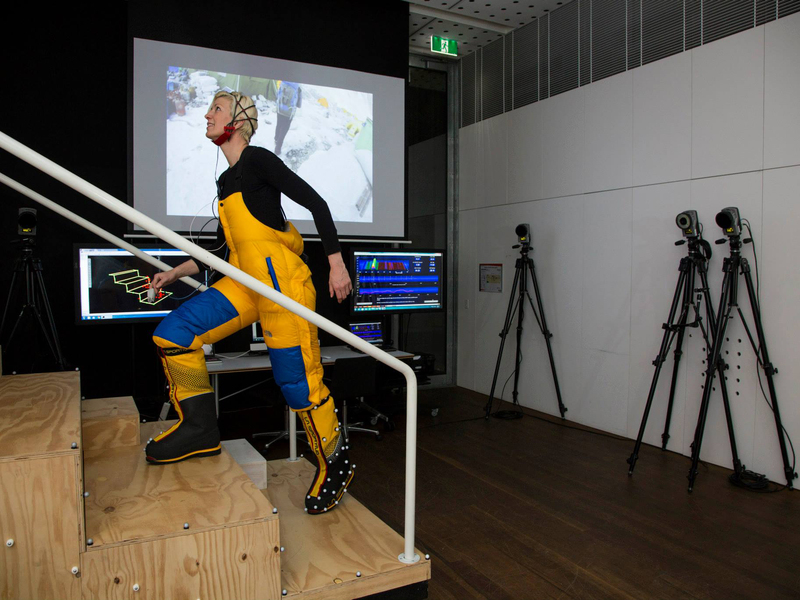 These mission opportunities include sciart experimentation and creative production such as spin-off keynote performances including 'The Agency of Human-Robotic Lunatics' commissioned by Robotronica, 2017 and 'How to Survive on the Moon' commissioned by Arts House for the 2017 Melbourne Festival. 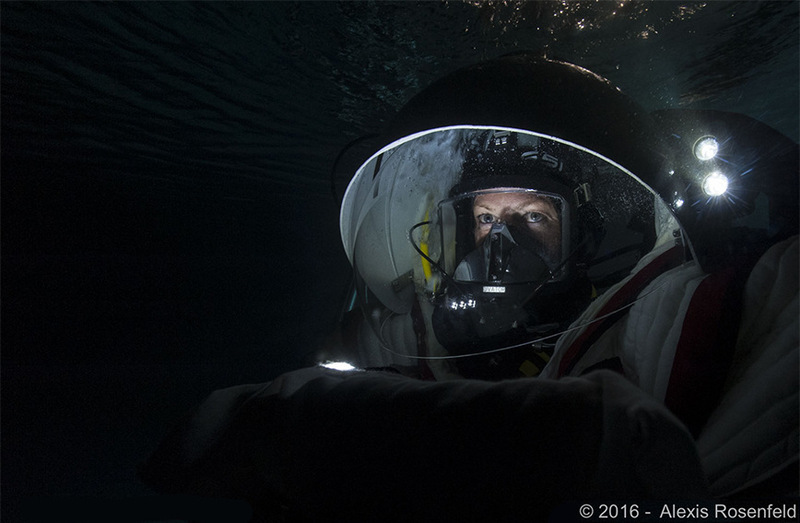 Earlier expeditionary training includes Atlantica Expeditions subsea habitat mission, Bending Horizons Everest Expedition, EVA Simulation NBL Workshops, Occupational Diving, and the HMP Simulation. 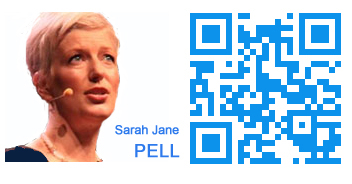 Dr Sarah Jane Pell's mission epitomises the power, strength and tenacity required for humans to push through boundaries. 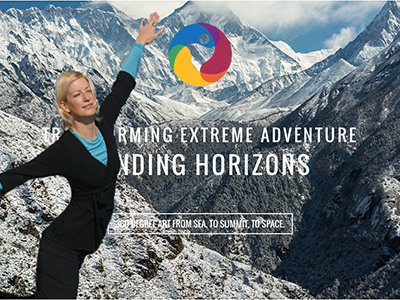 No only does she plan to scale the world's highest peak, Mt Everest, but she plans to do it in a unique, artistic and inspiring way. I wish Sarah great success and I look forward to following her amazing journey. Prof. Rachel Armstrong, 2014 Architectural Design. Although she draws on the poetic and performative potential suggested by aquatic environments, her body of work is best described as an aestheticisation of life support systems. Dr. Jonathan Marshall, 2005 Real Time. 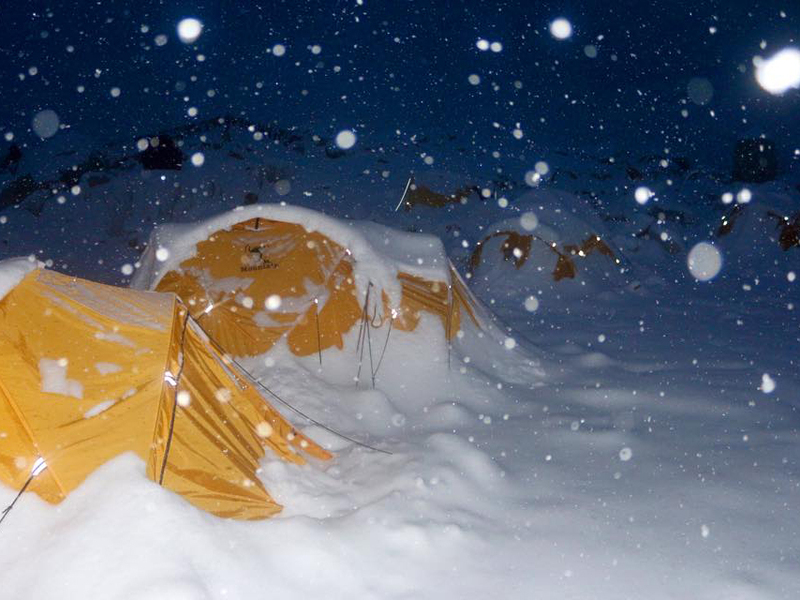 An earthquake interupted expedition to Mt. Everest. Feature article by Florian Mueller and Sarah Jane Pell - p58. 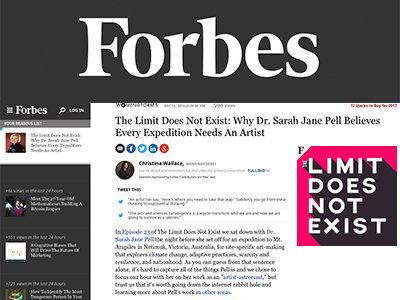 The Limit Does Not Exist: Why Dr. Sarah Jane Pell Believes Every Expedition Needs An Artist - Ep 23. 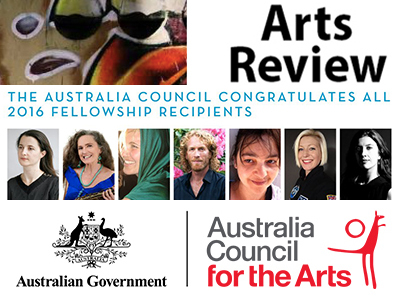 Seven accomplished Australian artists are recipients of the 2016 Australia Council for the Arts Fellowship grants. An international prize of $100K that supports social entrepreneurship projects with great reach and significance.